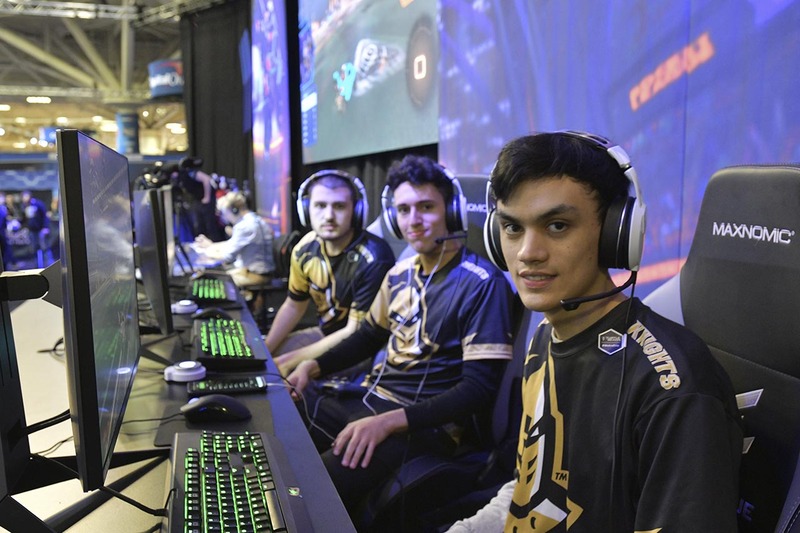 UCF Knights making their parents proud here at the Rocket League Invitational. 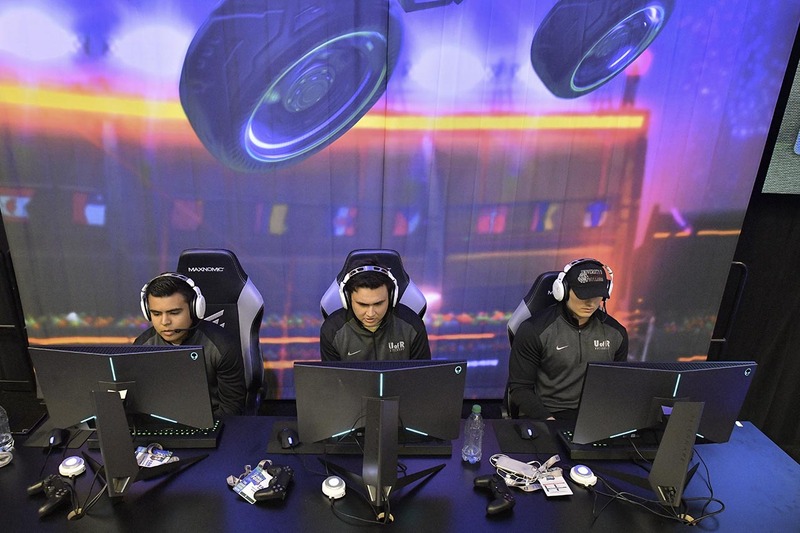 University of Redlands play their hearts out as they shoot for an opportunity at the finals. 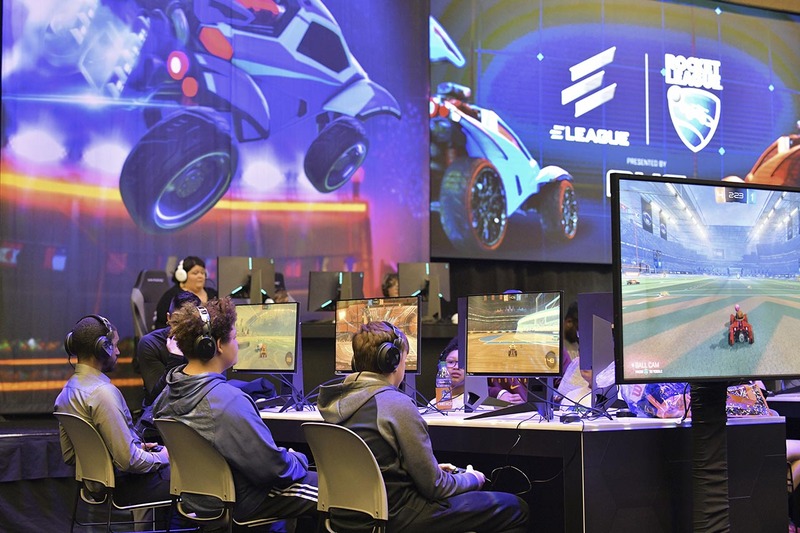 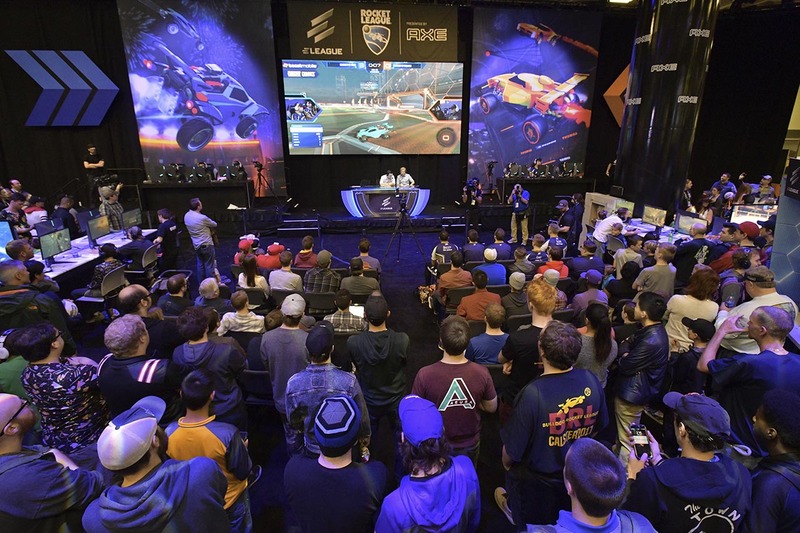 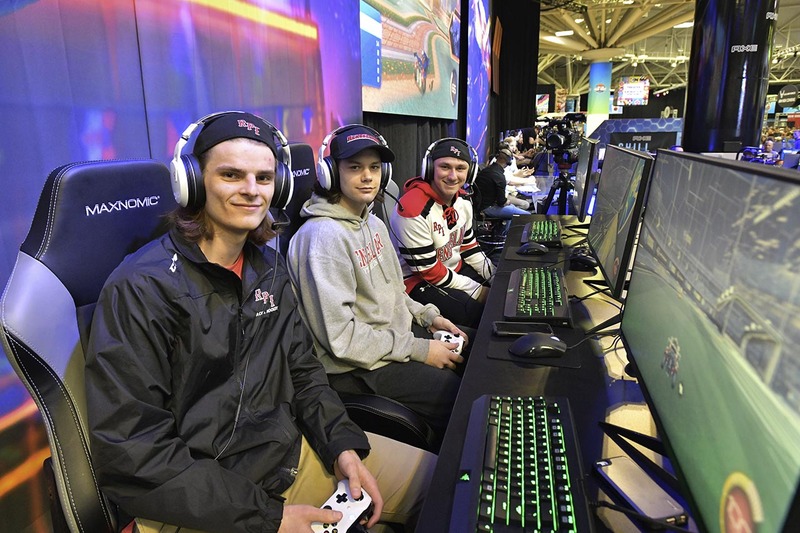 Visitors of the ELEAGUE X Rocket League Game Zone were able to show off their skills over the whole NCAA Fan Fest weekend. 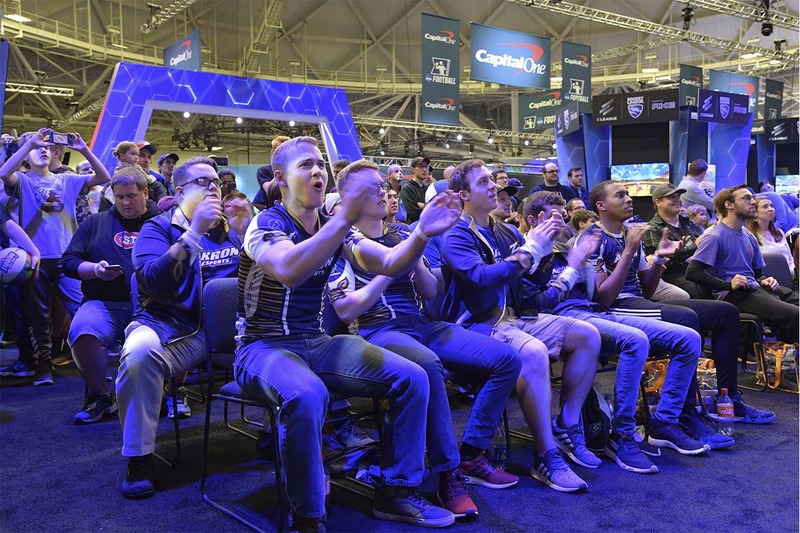 The U of A squad in the crowd definitely boosted their morale of their team as the finals came closer. 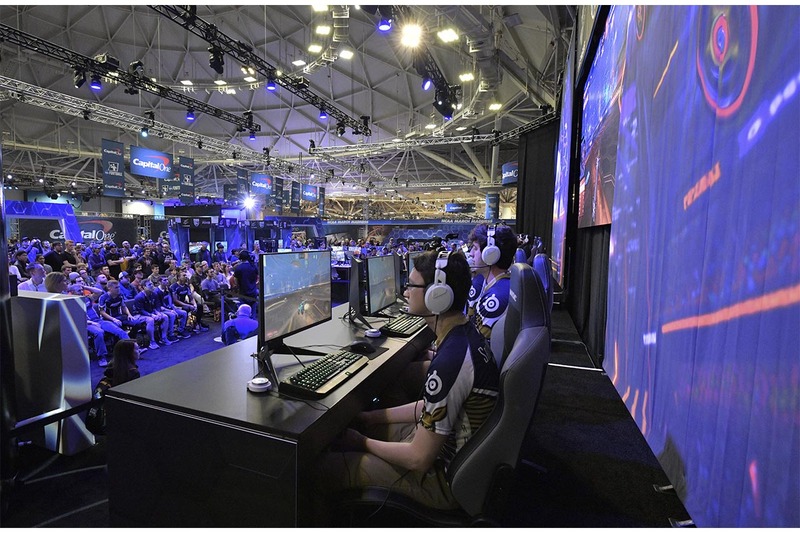 Eyes were peeled as University of Akron displayed their dominance in the finals. 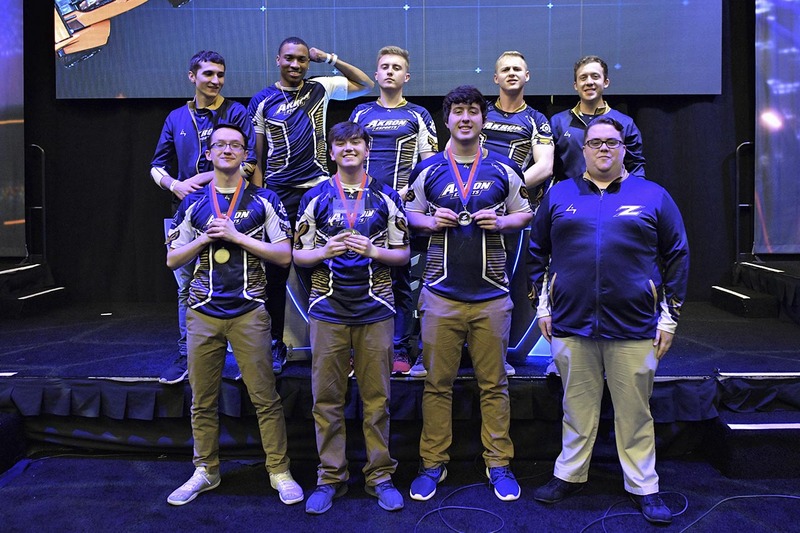 University Of Akron zipped past the competition to win the Collegiate Rocket League Invitational.